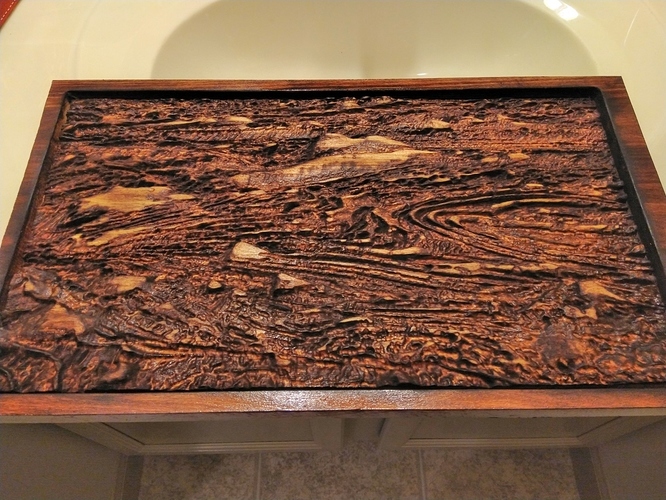 This is a martian landscape cut into poplar and stained with a combination of a blowtorch and some red water based stain. 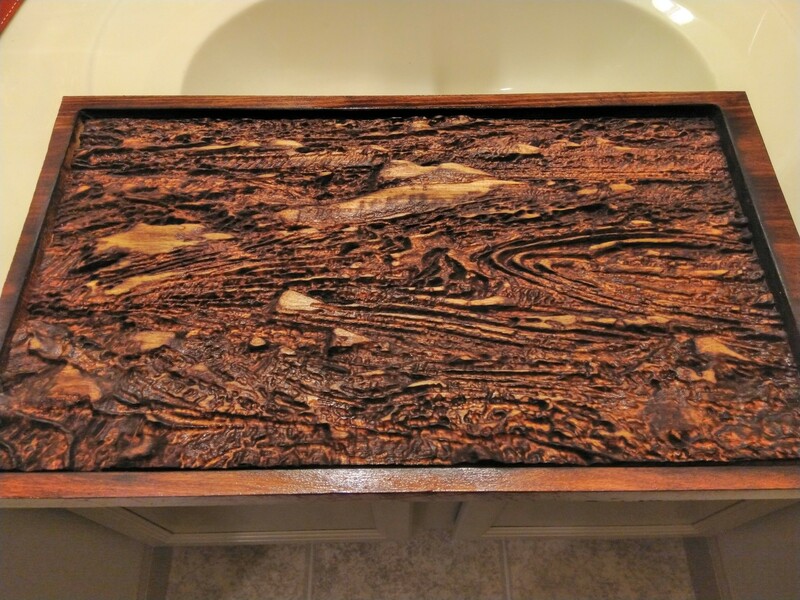 It’s roughly 20 inches wide and I had to cut it using a tiling method. I used meshcam to convert the source image (which I can’t seem to find anymore) and created a height map .5 inches deep.